UPDATE: There's been an arrest in this case. Click here for the latest. A beloved teacher and her 2-year-old daughter died Tuesday after they were found shot outside their home in Fort Washington, Maryland, officials say. 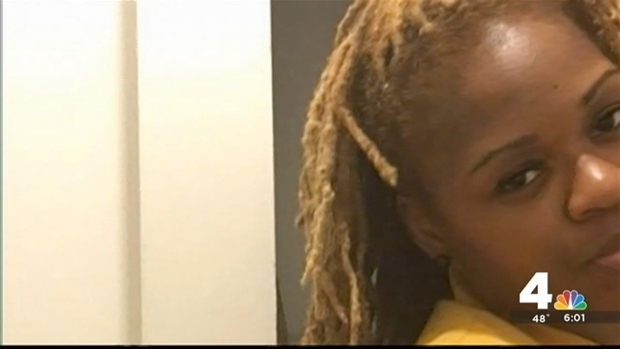 NeShante Davis, 26, and her daughter, Chloe Davis-Green, were found about 7 a.m. in the parking lot outside their townhouse in the 1300 block of Palmer Road, Prince George's County police said. 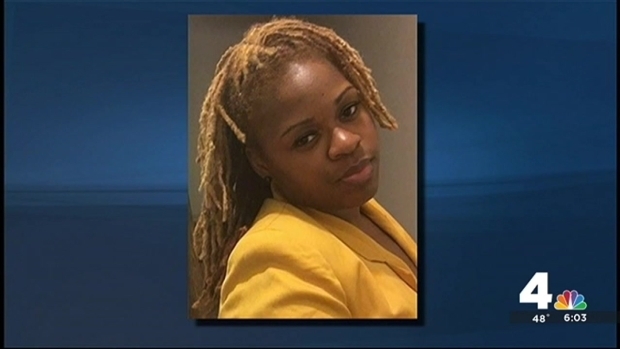 News4's Shomari Stone was at an emotional church service for a woman and her young child, shot to death Tuesday in Fort Washington, Maryland. A witness said he heard yelling and then multiple gunshots. Davis' body was found right away, next to her car, police said. The injured toddler then was spotted through the tinted windows of her mother's blue Chevrolet. The toddler was rushed to a hospital, where she died. A friend of Davis' for more than a decade, Melonie Parker, said at an emotional service Tuesday night that she was heartbroken. "Who can shoot a child?" she asked. "How could you look a child in their face and shoot a child? I don't understand." Davis' mother, sister and other loved ones mourned the mother's and daughter's deaths at Community Temple Bibleway Church in Cheverly, Maryland. Members of the crowd prayed and cried together. "I'm going to miss her. And Chloe," the toddler's grandmother, Carolyn Turner, said, unable to speak any longer. Investigators searched for evidence at the crime scene for hours Tuesday, with the county's acting police chief and chief prosecutor on hand to ensure nothing was overlooked. An elementary school community in Prince George's County is reeling after a beloved teacher and her 2-year-old daughter were shot and killed Tuesday. News4's Tracee Wilkins reports. 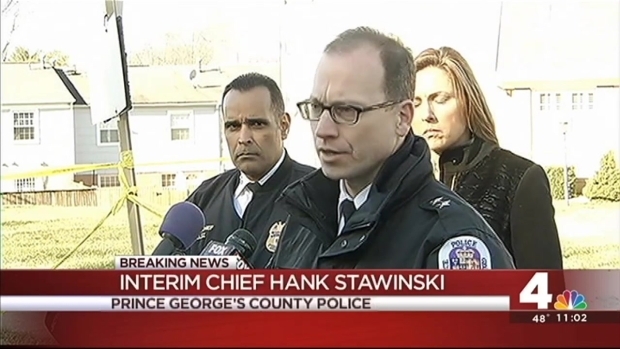 "This is absolutely unacceptable in any civilized community that a child should be killed," Prince George’s County State’s Attorney Angela Alsobrooks said. "We are absolutely enraged." Police are still working to identify a suspect and motive. On the scene, Interim Chief Hank Stawinski told reporters that investigators are pursuing viable leads. “This is a profoundly sad day, and my prayers go out to the family for a crime that, frankly, shocks the conscience," Stawinski said. Davis was a second-grade teacher at Bradbury Heights Elementary School in Capitol Heights, according to the school's website. She worked for years as a teacher's aide at the school and was in the middle of her first year teaching after recently graduating from Bowie State University. Davis likely was headed to drop Chloe off at day care and then head to work when they were shot, school officials said. We don't know who did it or why, but the murder of a Prince George's County mother and her young daughter have turned a community on its head. News4's Pat Collins reports as police try to hunt down the gunman. Parent Tiffany Byrd said Tuesday afternoon she was preparing to speak with her son about why he would not see his teacher again. "I have no idea how he's responded knowing she won't be back now and he'll have a new teacher," she said. "Miss Davis was awesome. She really, really helped him to improve a lot," Byrd said, saying her son had struggled at another school but earned all As and Bs since entering Davis' class. The father of a student at the school wiped away tears as he spoke about Davis. "It really hurt me. The school called this morning," Erik Hines said. "Miss Davis was an excellent teacher." Counselors were available at the school Tuesday to help students and staff members coping with the tragedy. A woman and her 2-year-old daughter were killed in a shooting in Fort Washington, Maryland, Tuesday morning. News4's Derrick Ward has the latest from the scene. Court records show Davis and Chloe's father were involved late last year in a paternity and child support action. It's unclear whether that dispute had any connection to the killing. Davis’ lifelong pastor and family friend rushed to the crime scene to offer comfort to family members who who looked on in disbelief. "Whoever it is, they need to be caught and penalized to the fullest," he said. 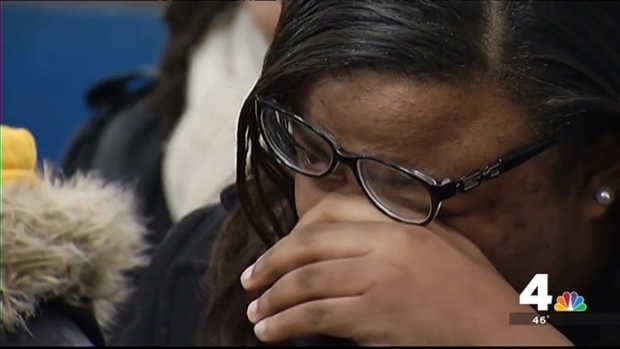 Davis' sister, Nikki Turner, pleaded for answers at the prayer service Tuesday night. "We will forgive you. God will forgive you," she said. "We just want you to turn yourself in. We want justice to be served." News4's attempted to speak with Chloe's father and was turned away at his apartment complex by a security guard. 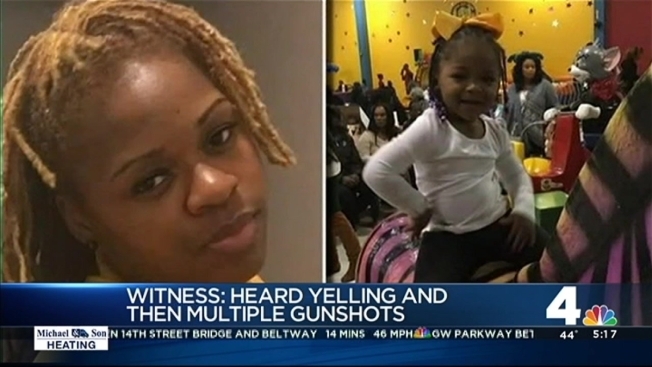 NeShante Davis and her daughter, Chloe, were found shot in the parking lot of a townhome community. Anyone who may have seen or heard something in the area about 7 a.m. is asked to call police at 1-866-411-TIPS.